The Toxicologist Today: A new GHS for hazardous chemicals. Did you know? As part of the project I am to start up this year and about which I'll be posting pretty soon here in The Toxicologist Today, I had to undergo another (the fourth or fifth in my professional life) lab safety induction. Safety rules are never too much, as adding information is never too much also. In between loads of reinforced ideas I came across a few brand new subjects on which I must admit ignorance, specially two amid the numerous covered ideas got me really interested: perchloric acid (I must admit I did not know it was that dangerous!!) and the brand new hazard warning symbols and statements the United Nations agreed on. Today I will focus on the second idea as the first one will remain as a curiosity for the coming future of this blog. When the safety officer started going on about it I had to immediately address a few questions. I do honestly believe this is a very nice topic to cover as part of this blog's mission, and a lot more people will learn from it because I don't think most of us do actually know what is going on here. If you do, ..., well, great!!!!!! 4) to make international trade a lot easier. CLP or CLP Regulation stands for Regulation (EC) No 1272/2008 on classification, labelling and packaging of substances and mixtures, amending and repealing directives 67/548/EEC and 1999/45/EC, and amending Regulation (EC) No 1907/2006 (REACH). It came into force on 20 January 2009 and applies across the European Union. 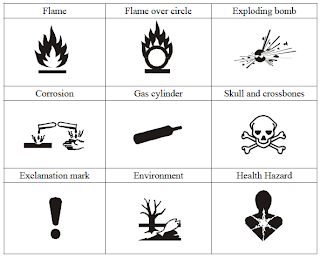 What are the symbols to be used in the GHS? 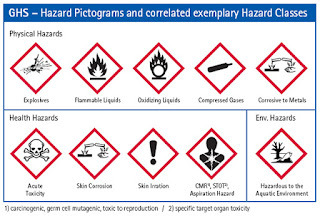 Pictograms (formerly known as labels) that are prescribed by the GHS but not the UN Recommendations on the Transport of Dangerous Goods, Model Regulations, shoud display a black symbol on a white background framed in red, and be large enough to be widely visible. 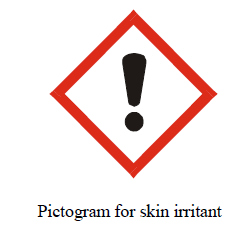 What abou the old MSDS and the fashionable orange in black labels. Are they gone? To some extent, yes! 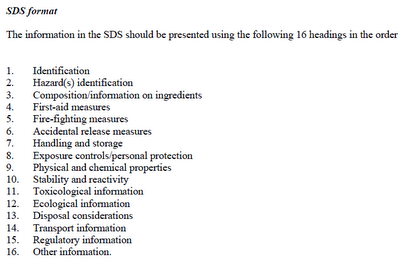 But they are being replaced by improved SDS (Safety Data Sheets) and new pictograms ready for the harmonised system.With compulsory 16 categories to be filled in, no information will escape the new SDS. There is so much to read and know that the best thing to do is just visit reference 1 whenever possible. This post was just to raise eyebrows on a piece of information that I personally consider of extreme importance for anyone working in a lab. If after both initial references were studied you still feel the need to know a little more you may visit reference 3. Number three will provide you with an online course (that I don't know if it's good or not, sorry) but it seems to hold a lot of essential information put in a way that will be more pleasant that reading passages and passages of written text. But to make your life easier and also the understanding of it all, I found this amusing video that might help you get set and ready to go. Hope it helps you in any way and see you very soon in a harmonised for the world The Toxicologist Today! - UNECE, United Nations Economic Comission for Europe, http://live.unece.org/trans/danger/publi/ghs/ghs_rev02/02files_e.html, Last visited on the 27th of September 2011, last updated on January 2008. 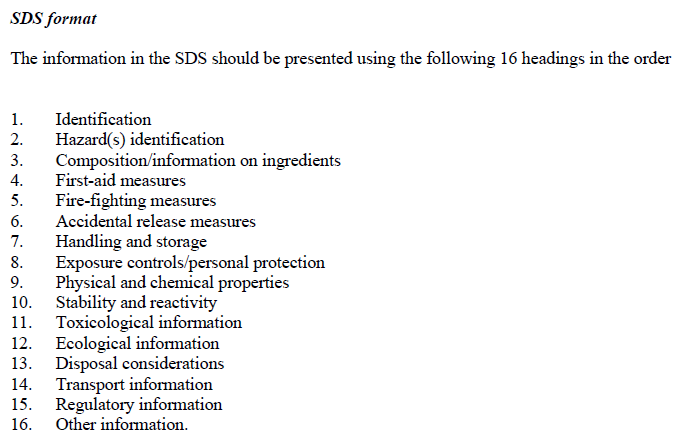 - Globally Harmonised System, Compliance Products and Training Material, http://www.ghssafety.com/?gclid=CISHyaLPvasCFbEntAodcwzzsg, last visited on the 27th of September 2011, last update unknown.